※ The time of maintenance might be changed depending on working circumstance. 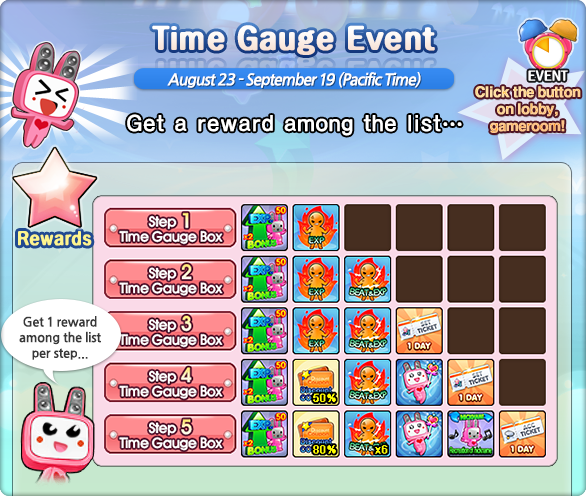 Play the game together, Collect the time, Get the reward! Are you sick of the same gifts? 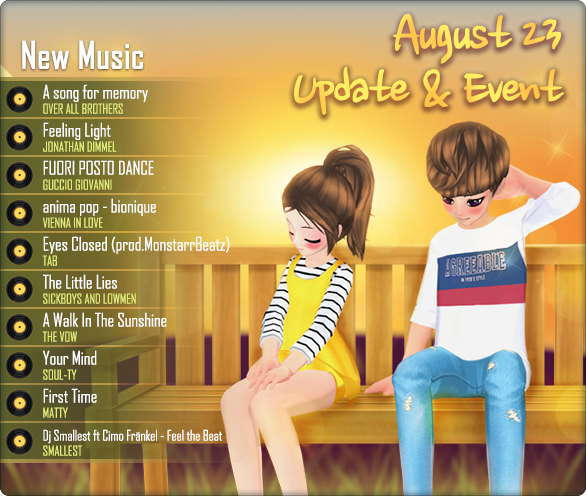 New gifts wait for you, Just login everyday! 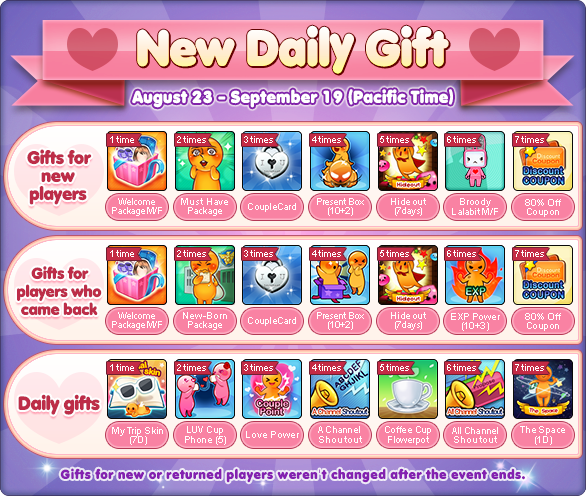 *Gifts for new or returned players weren't changed after the event ends.